The Empire of Men's oppressive threat looms over the territories of the Orcs and the Goblins. 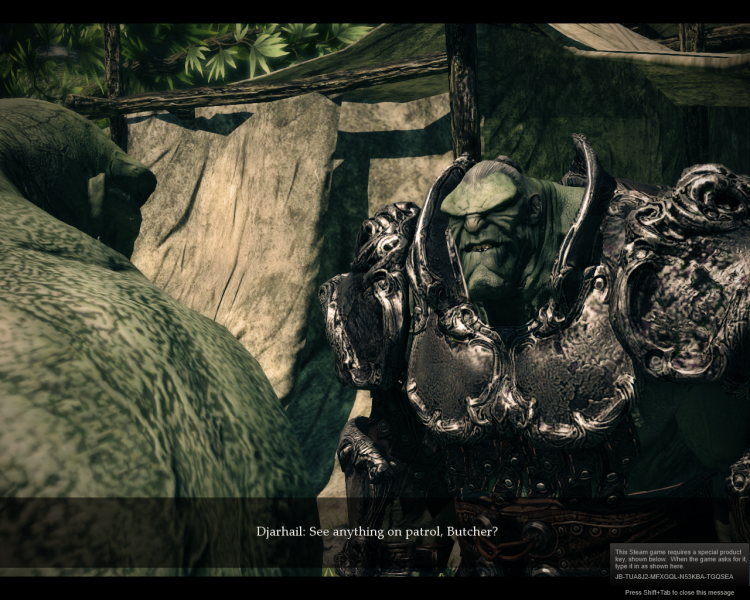 Goblins are systematically persecuted and slaughtered, while Orcs not killed in battle are captured and enslaved. 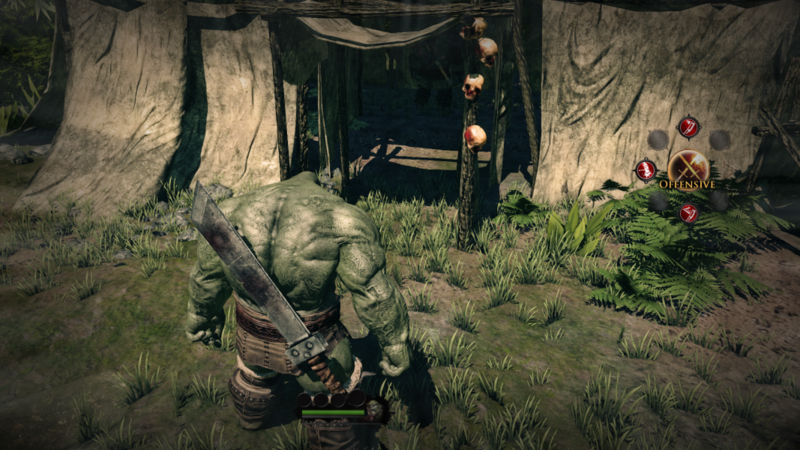 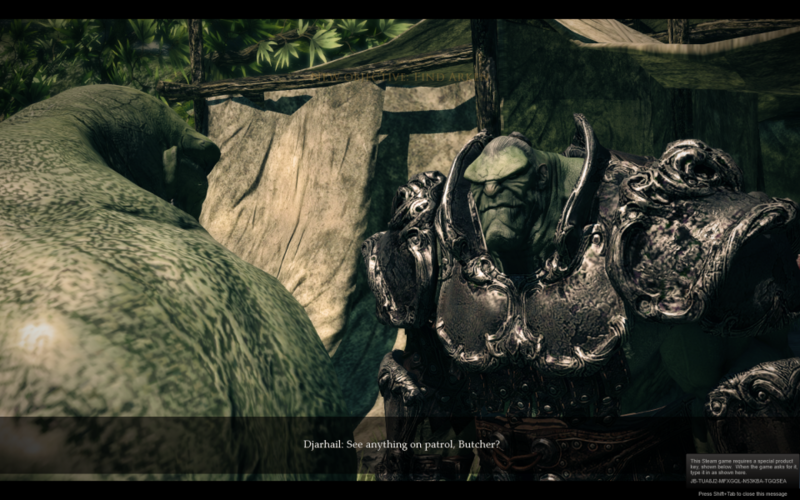 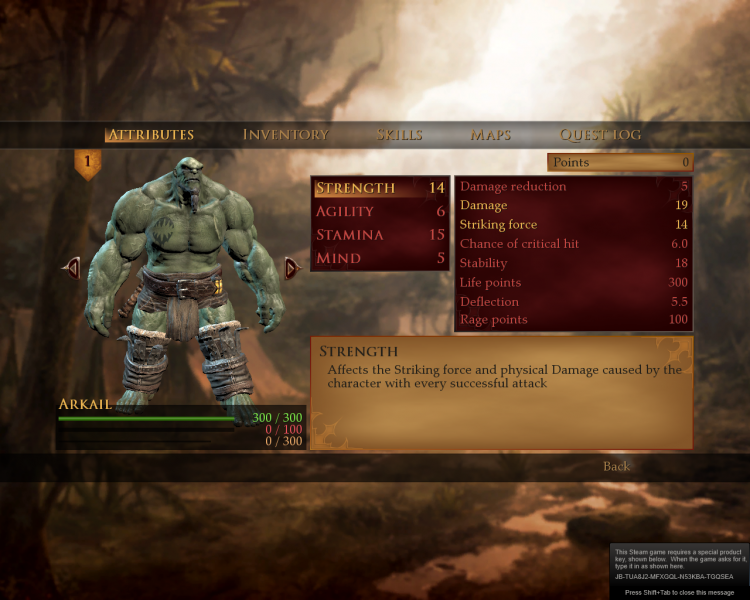 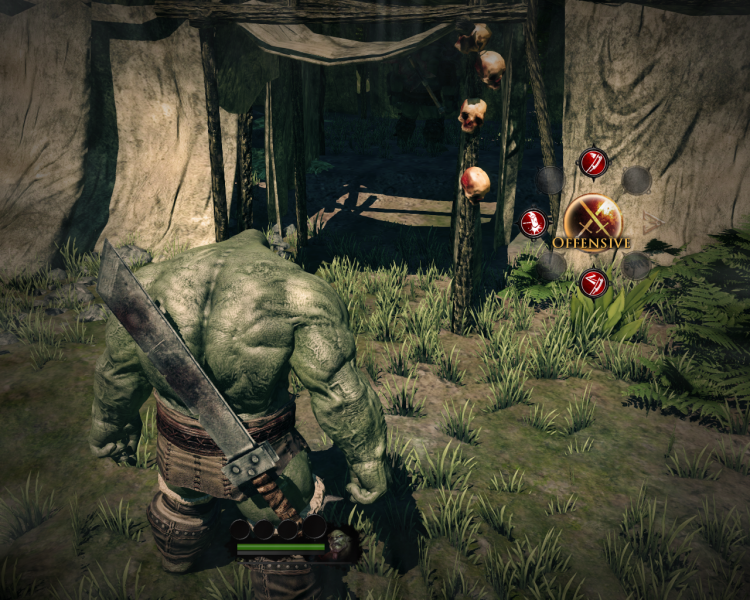 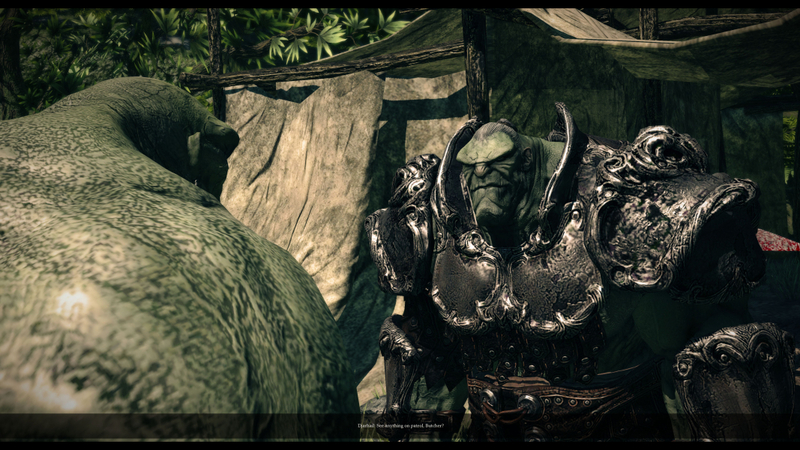 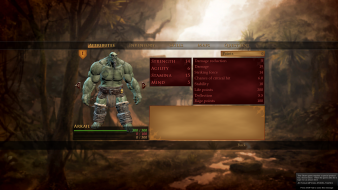 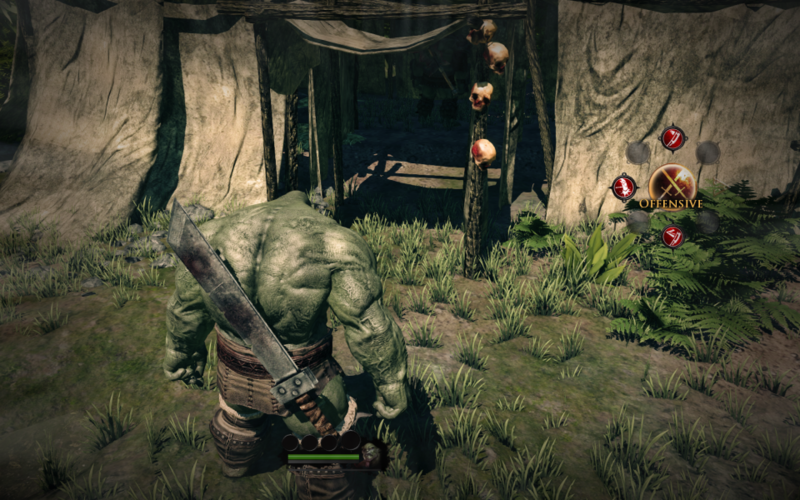 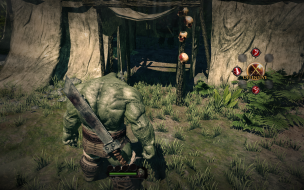 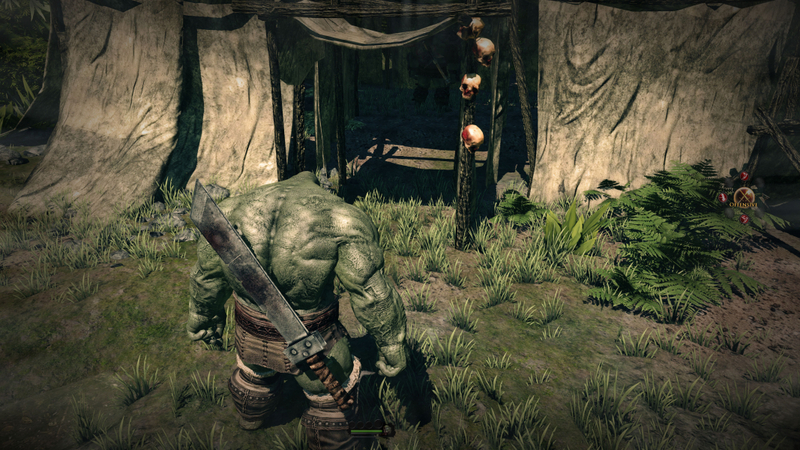 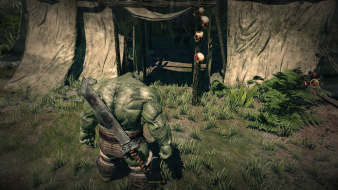 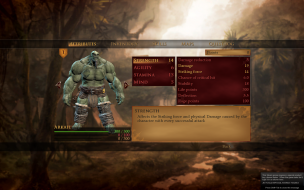 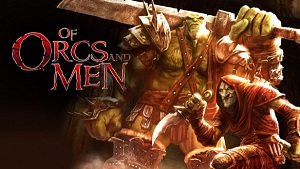 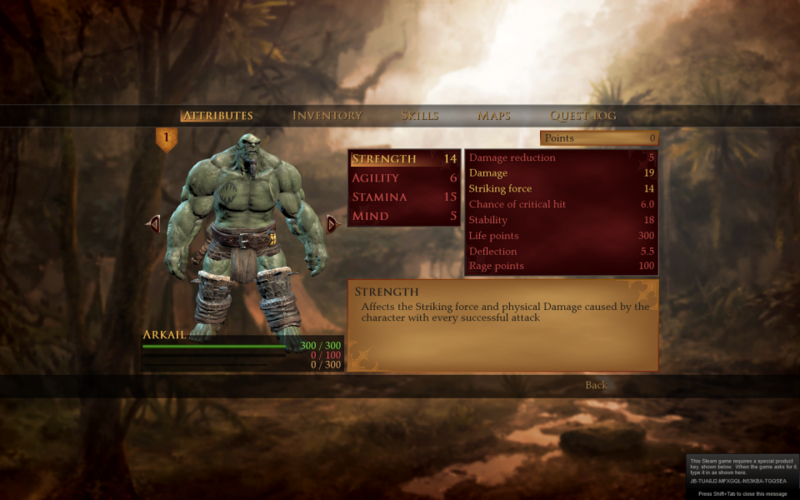 Of Orcs and Men first puts the player into the role of an elite Orc soldier from the legendary legion of Bloodjaws. 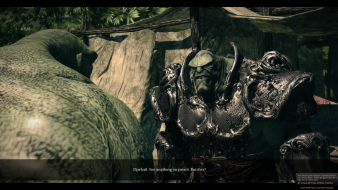 The Legion is a league of warriors deeply involved in the war between the Orcs and Goblins on one side and their persecutors Humankind on the other. 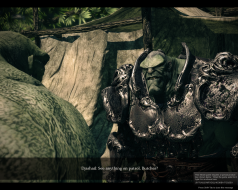 As a veteran warrior who has seen the most brutal of battles, the player is appointed by the Orc commander to complete a mission that could change the course of the war - to kill the main man responsible for the bloodshed, the Emperor himself. FMV videos are slightly cut-off, but not enough to distract from the gameplay. Slight ding to the grade, and totally playable. But, it's not perfect. 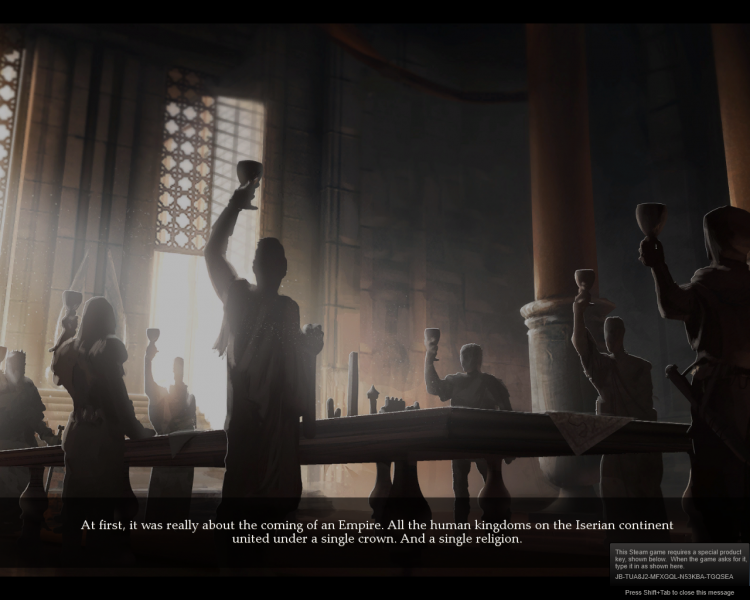 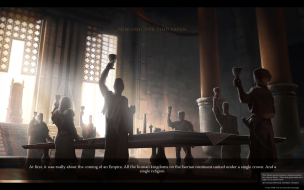 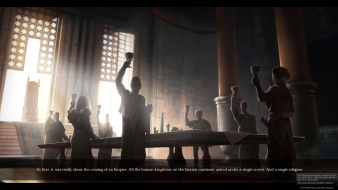 The 2D images used for menu backgrounds, loading screens and the FMV intro are Vert-. 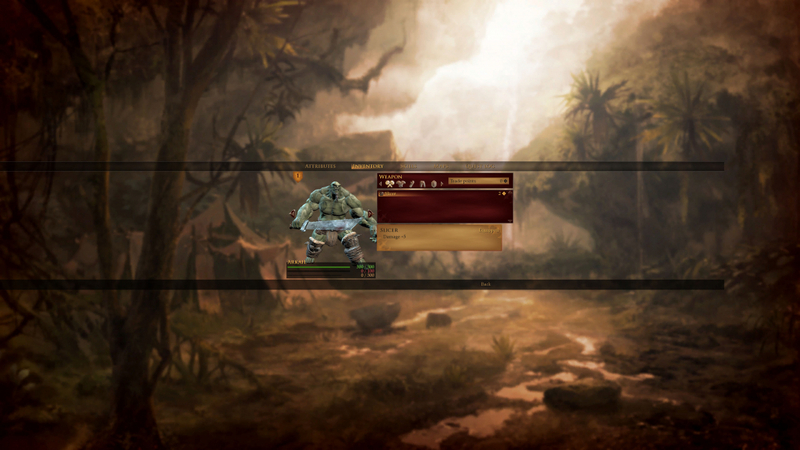 The HUD spans your desktop, and has an significant impact on gameplay combat in Eyefinity/Surround.